One of the critical learnings I gained during my years as a clinician, medical educator and healthcare systems executive was a deep appreciation of the enormous favorable impact that technology can provide every person across the healthcare delivery spectrum: doctors, nurses, pharmacists, technicians, administrators and most importantly patients (both indirectly and directly). Information technology (IT) has already revolutionized numerous industries, disrupting some outdated and inefficient practices and bolstering more effective practices. The recent introduction of healthcare information technology (HIT) into the medical arena is no exception; the advantages of IT in driving higher value patient care are numerous. The primary power of HIT is in the ability to address both aspects of value: improving the quality of patient care and reducing the cost of care. For physicians, nurses, pharmacists and other providers, HIT solutions which do not impede workflow empower us to deliver consistent, high quality care founded on evidence-based medicine and accepted care guidelines. In addition, HIT solutions drive more efficient care, freeing us up to care for more patients during our busy days. For patients, quality HIT systems translate to safer, faster care. For administrators and payers, HIT leads to reduced costs of care, freeing up both staff and money for use in other areas of need. This year, I was honored to deliver the opening speech at the HIMSS (Healthcare Information and Management Systems Society) and Elsevier Digital Healthcare Award ceremony. This prestigious award recognizes amazing healthcare projects invented, developed and implemented in hospitals and healthcare systems across the region that have used innovative HIT solutions to drive higher value healthcare delivery, improving the clinical outcomes or efficiency of patient care. I am fortunate as a physician and Elsevier healthcare executive to review the incredible award submissions from healthcare systems and to also see the importance and value of such HIT innovation. The individuals, hospitals and healthcare systems who submit their innovative HIT programs are visionaries who are leading the healthcare reform revolution across the Asia Pacific region. Their accomplishments demonstrate that, not only can we advance healthcare, but we are already moving the care industry forward. These true healthcare reform pioneers can demonstrate to others on a regional and global level how HIT solutions can significantly improve the health of our societies, elevating care standards through the sharing of ideas and processes, successes and failures by working together to improve the health of our populations. After two tremendous years and numerous impressive award submissions, the success in the Asia Pacific region has led to the global expansion of the Digital Healthcare Award. HIMSS and Elsevier are now partnering to offer this high honor both in Europe and the Middle East. The same winning formula – to celebrate innovation and foster learning –still serves as the foundation of the award, while recognizing that each global region presents different and unique challenges for healthcare providers. Each submission over the past two years has been impressive, making the selection of award winners truly challenging. This year’s award recipients have all developed and implemented HIT solutions that have profoundly impacted delivery in their healthcare systems. An incredible new “digital hospital” won the Outstanding ICT Achievement Award. St. Stephen’s Hospital, UnitingCare Health in Australia developed the stunning “eHealth Unite Project – Hervey Bay,” culminating in the country’s first fully integrated digital hospital on an efficient $96 million budget. I had the privilege (and fun!) of speaking with the entire award-winning leadership team, who said that one major reason for their success was working the healthcare professionals right from the start so they had a stake in the kind of IT being deployed and then really owned the system when it came time to switch it on. For details on what “fully integrated digital hospital” means, see the explanation here. Their HIT project was successful as NUH was able to achieve a 15-minute waiting time at the 95th percentile – down from more than 20 minutes. This 25 percent reduction no doubt translates to happier patients as well as greater satisfaction for providers associated with their care delivery. Improving patient safety is always a top priority for healthcare institutions across the world. The “Fully Integrated Pharmacy Automation at KKH’s Emergency Pharmacy for Better Efficiency and Patient Experience” transformed the unskilled, costly and tedious process of bottle packaging and labeling out of the hands of their highly trained and skilled pharmacy staff, winning KKH and IHiS, Singapore the Outstanding ICT Innovation Award. This highly innovative HIT process eliminated the human error element, which improved safety, while also freeing up skilled staff to focus on patient care. I was amazed that their novel solution is virtually completely automated, initiated when a doctor writes a prescription and ending when the appropriately filled medicine bottle is delivered into the patient’s hands. The team said they aimed to get better patient experience and staff satisfaction and have had no down time since the system went live. 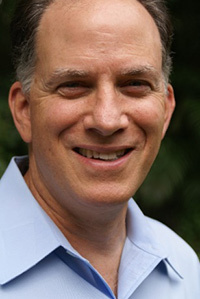 Dr. Peter Edelstein is Chief Medical Officer for Elsevier Clinical Solutions. He is board certified by the American College of Surgeons and the American Society of Colon and Rectal Surgery. He has more than 35 years of experience practicing medicine and in healthcare administration. Dr. Edelstein was in private practice for several years before serving on the surgical faculty at Stanford University, where he focused on gastrointestinal, oncologic and trauma surgery. He then spent more than a decade as an executive in the Silicon Valley medical device industry. Dr. Edelstein's most recent role was as Chief Medical Officer for the healthcare business at LexisNexis Risk Solutions, a Reed Elsevier company. He is also the author of the recently published book, Own Your Cancer: A Take-Charge Guide for the Recently Diagnosed & Those Who Love Them.